One of biggest challenges in teaching is finding the right balance between grace and consequences. Most of us tend to lean more to one side than the other. Some tend to be strong on consequences to the point that they are afraid to show mercy when it’s needed. Others may let way too much go in the name of grace, failing to give necessary consequences. As Christians teachers, we need to realize that both sides are important. God has given us incredible grace, and giving that grace to our students can be powerful and life-changing. However, that doesn’t mean we completely abandon “the law” and just let everything go. I certainly haven’t figured it all out myself, but I believe there are some key questions we need to ask ourselves when we’re battling with whether we should give mercy or consequences. What is my motivation? This one hurts sometimes. 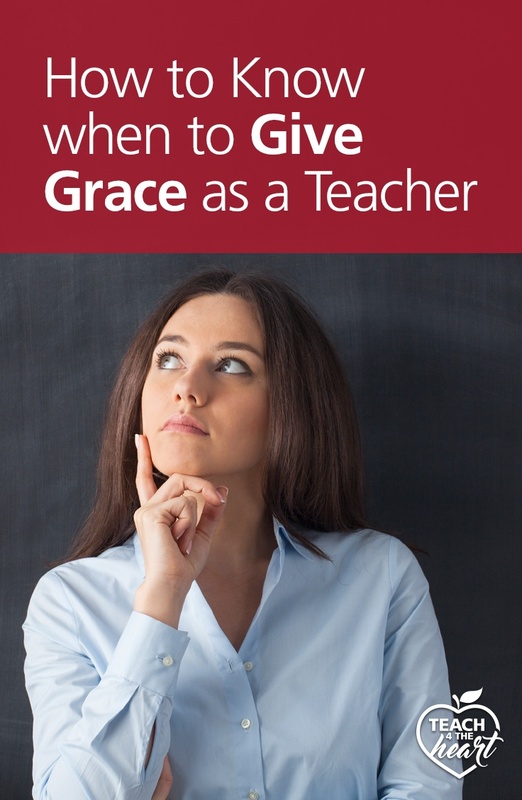 I know there have been times when I’ve “given a student grace” because I wasn’t sure what to do or because I wanted to avoid a confrontation. That is a very bad reason to avoid consequences. Our only motivation should be what is best for the child/teen. 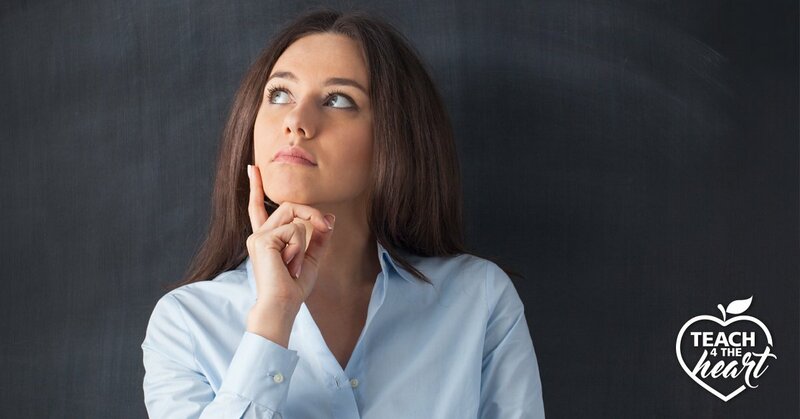 If we honestly examine our motives and realize they are even the least bit self-serving, we need to cast aside those thoughts and get back to asking ourselves what is best for them. Will the student understand they are receiving mercy? If you’re feeling inclined to give mercy, this is an important question. If the rules and their consequences have not been previously established, the child/teen could just think they’re getting away with their misbehavior/sin. We cannot allow them to mistake grace for permission. 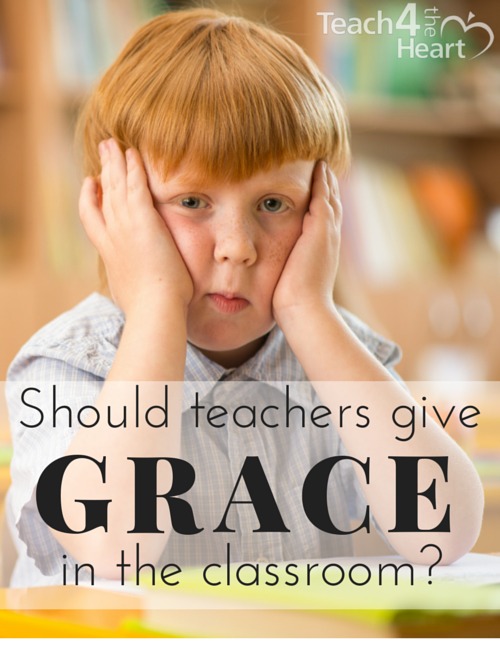 Young children, especially, have trouble understanding the abstract concept of grace. Or if you’ve just started a new school year, the children do not yet know you and your rules. If you start by giving grace, they will not understand or appreciate the mercy but may assume their misbehavior is not going to be addressed. Have you ever wondered why God gave the law hundreds of years before He gave grace? I think one of the reasons is so that we would realize our own sin and appreciate grace when it came. Likewise, if a child or teen hasn’t faced the reality of their misbehavior and realized its consequences, they will not appreciate or understand mercy. And it could be more of a hindrance than a help. How is the Spirit leading me? This question is the key to all the others. Too often we want formulas and principles to guide our lives – and God does give us Scriptural truths to direct us. But what is even more powerful is His Spirit who guides us. We must listen for His voice and seek Him even in our small decisions. Only God knows what is truly best, what our motivations are, and whether or not the child will understand. Ask Him for guidance and listen for His leading. Want to dive deeper? We talk more about this concept in my book Create Your Dream Classroom. You can grab a copy here. Do you agree with these questions? What others would you add? How do you determine when to give mercy and when to administer consequences? Share your thoughts by leaving a comment below. This post is truly insightful, highly relevant, to-the-point, and the excellent questions made me think deeply. Just added this to my Classroom Management resources.Thanks! I love what you said about God giving the law a long time before grace to give us a chance to recognize our sinfulness and thus appreciate grace all the more. It’s true that the law points out our sin and makes us more aware of the grace of God. However, God didn’t ‘give grace hundreds of years later’. Abraham believed God and it was credited to him as righteousness. That’s grace. Adam and Eve were given the promise of a Saviour immediately after the Fall – that’s grace. Job talked about his Redeemer who lived. These people knew that there was a righteous God whom they could not hope to perfectly obey. They also knew that God had provided a gracious way back to Him – through the Saviour to come. As a teacher, I have to be careful to present both law and grace as the Bible does – God isn’t capricious about his grace (although His purposes may not be clear to me), and so I should not be capricious either. Wow. I needed this today! It’s such a precarious balance and I find I have to judge each child individually as for grace/consequences. Also, thank you for pointing out why God gave the law before grace…it has always stumped me when people ask that sort of question. This is just what I was discussing with a teacher today. It is so wonderful to have your emails, and to know we are not the only ones thinking about these important issues. Grace cannot be understood without understanding how far we have fallen. I am so thankful God continues to show ME how far I fall daily, and how much mercy He extends to me, moment by moment. This is a really hard area for me. I work with preschoolers 4/5 year olds. They really have a completely difficult time understanding that hands are not to be on others. Am I being too hard on them expecting this hands to yourself behavior? I feel like I deal way too much with hitting, and inappropriate touching. I probably swing to the grace side too much. Any ideas?